or at it’s worst a sense that you are going to die? 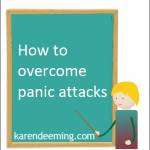 The symptoms of a panic attack can be very frightening and distressing. “Symptoms tend to occur suddenly, without warning and often for no apparent reason. The physical symptoms of a panic attack are unpleasant, and they can also be accompanied by thoughts of fear and terror. 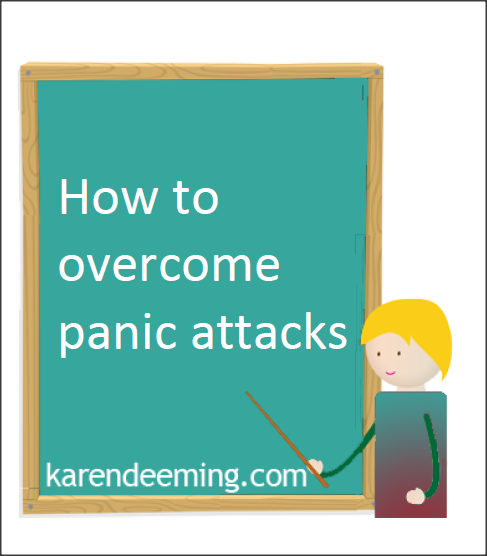 For this reason, people with panic disorder start to fear the next attack, which creates a cycle of living in ‘fear of fear’ and adds to the sense of panic. Sometimes, the symptoms of a panic attack can be so intense they can make you feel like you’re having a heart attack. However, it’s important to be aware that symptoms such as a racing heartbeat and shortness of breath won’t result in you having a heart attack. Although panic attacks can often be frightening, they don’t cause any physical harm. People who have had panic disorder for some time usually learn to recognise this ‘heart attack sensation’ and become more aware of how to control their symptoms. 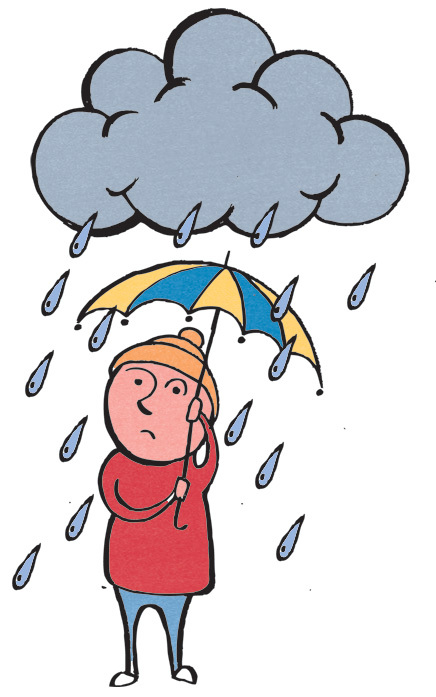 It’s a phenomenon called “negativity bias,” a name coined by Psychologists, describing our human tendency to be much more likely to be influenced by and to recall negative experiences, instead of neutral or positive experiences. So the good news is that panic attacks, anxiety and automatic negative thoughts are not wholly your fault it’s just the way your brain is wired and you can take steps to address this. So instead of giving yourself a hard time, firstly, be kind and compassionate, reassuring yourself that you’re pretty normal and not alone in this very common dilemma. We recall negative feedback more than we remember praise. Unpleasant events tend to be more memorable than pleasant ones. The brain is programmed to be vigilant and wary. The brain reacts more strongly to negative stimuli than to positive stimuli. Studies indicate that there’s a greater flow in electrical activity in the brain when we visualise a negative image such as a dead cat than when we witness something positive like a glass of prosecco or yummy lemon cheesecake. How can Neuroscience and a knowledge of the brain help with panic attacks? or logical enough to introduce the laws and theories of gravity. The right hemisphere is generally associated with creativity, communicating emotion, analysis of nonverbal information and the control of the left side of the body, temporal and spatial relationships. Whereas, the left hemisphere is usually identified with logic abilities, casual relationships, sequential thinking, controlling the right side of the body and producing/understanding language and complexities. cingulate gyrus, hypothalamus, hippocampus, thalamus and amygdala. It is the site of: emotional states and behaviour; the bridge between the conscious and subconscious brain and short term memory/ information storage, especially short term recognition of facts, objects, people etc. The amygdala, the brain’s alarm system is located in the limbic system. Its key function is to call you to attention, and in an emergency, to mobilise or shut-down your body and mind so that you’ll survive. Sadly though, this alarm rings automatically and unnecessarily often incorrectly informing you that you are experiencing a flight or fight situation when the actual reality is that you are not and the alarm is just being over cautious. When our amygdala misinterprets a bodily sensation such as sinking stomach to be a message of despair and pessimism, it has exactly the wrong result, reducing rather than enhancing our attention and alertness. That’s why panic attacks, anxiety, frustration, anger and other chronic stress reactions can occasionally, or for some people frequently, escalate into huge problems. Put simply, we’re not using our amygdala as effectively as it was intended. How can you tame your amygdala then? Having studied this topic for many years now, by far the most comprehensive, informative book about neuroscience and the emotional brain I have read so far is the Chimp Paradox by Dr Stephen Peters. 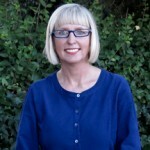 As Coach of the Great Britain Cycling Team, and many business leaders, Peters developed a highly successful mind management programme using the term “Chimp Brain” as its premise. Peters asserts that “Chimp Brain” is an emotional part of our brain designed by evolution to support our survival. Specifically, it is the area of the brain which activates the fight-or-flight response, hyperarousal, hypervigilance or the acute stress response, physiological reactions that occurs in response to a perceived harmful event or threat to our survival. for example: sexual reproduction, hunger, thirst and protection of our territory. 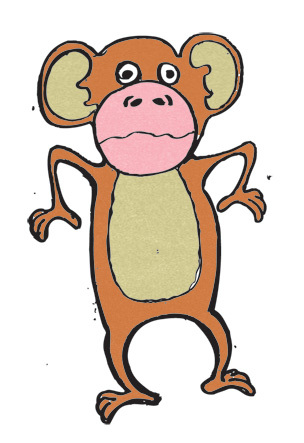 The “Chimp” automatically jumps to opinions in the absence of concrete facts and may be paranoid, periodically resulting in catastrophic and irrational behaviour. For example when you are experiencing a panic attack the chimp often jumps to the wrong conclusion that you are having a heart attack or are going to die. According to Dr Peters, the Chimp works on impressions, perceptions and interpretations, not facts and responds up to fives times faster than our rational brain. Two other terms are also used by Peters, the Human Brain and the Computer. This Peters describes as the rational part of the brain highly effective at considering all the available facts and evidence and subsequently reaching careful and deliberate conclusions using cognition. It’s also where our highest values of humanity reside and it works five times more slowly than the chimp. A storage centre of retained experiences jammed full of automatic habits and responses, some positive, some negative. Above all though, when processing what is happening to us, both our Human and Chimp refer to the computer to seek associations and similar experiences. The Computer operates twenty times faster than our Human and four times faster than the Chimp. You’re probably asking yourself right now how does all this relate to panic attacks then? 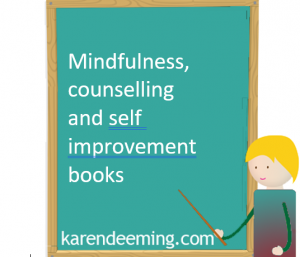 Peters argues that before taking any action, we firstly need to recognise these three powerful structures are continually operating in our mind. Furthermore, if we do not acknowledge this we will be perpetually running to catch up with ourselves. Though we can’t stop our thoughts, feelings or physical sensations, we can take charge of what happens next. We can consciously step back, pause, breathe and choose to observe our panic attacks or negative thoughts rather than responding to them immediately. 1.Acknowledge that we as Human beings developed a negativity bias, that is, we evolved to notice and respond more forcibly to the negative, since that helped our ancestors to stay alive. Thousands and thousands of years ago, it was more important for cavemen to escape negative situations than it was to approach opportunity. In other words, our ancestors wouldn’t even have stopped to analyse the situation. As soon as they noticed the slight rustle, like animals of prey, our ancestors would have simply fled for their lifes. 2.As it’s your “Chimp” it will respond sometimes when you are angry, stressed or perceive any kind of threat, physical or psychological, and it moves much more quickly than the Human part of your brain so is likely embarrass you with its responses. It might shout and rage, be rude and angry or violent. 3.Observe Chimp-like responses, these are easy to spot, they are responses which when you reflect later aren’t ones you’re proud of. They are likely the ones that if you had your time again you’d do differently, or they are the responses that you might, with the benefit of hindsight, think you need to apologise for. 4.Be aware that everyone has a Chimp and managing it is an everyday challenge, when we’re tired or stressed our Chimp becomes more difficult to control and can overwhelm us more easily. Observe other people’s responses, you can see Chimp behaviour everywhere. 5.Having become aware of your Chimp, you can work on taming it and rather than ignoring the Chimp’s instinctive and rapid reaction, just allow it to have its say. Then, consciously step back, pause, breathe and allow yourself more thinking time to work out a better, more considered Human response. 6.We can use the Computer part of our brain, our automated habits, to put in responses faster than the Chimp can react. This takes time and practice, but if we make a conscious effort to put in a different response to the impulsive Chimp one, we can develop what Peters calls an Autopilot, which is a script or response that overrides the unhelpful Chimp response before it can be enacted. Following your attempts at implementing the above strategy, record on a piece of paper the process of what happens when you try this technique and the automatic negative thoughts that stop you from supporting yourself. Understanding how your brain became so vigilant and wary, and so easily hijacked by alarm, is the first step toward gaining more control over that ancient circuitry. Then, by bringing mindful awareness to how your brain reacts to feeling threatened, you can stimulate and therefore build up the neural substrates of a mind that has more calm, wisdom and sense of inner strength. A mind that sees real threats more clearly, acts more effectively in dealing with them, and is less rattled or distracted by exaggerated, manageable, or false alarms. Struggling to entertain yourself whilst you are snowed in? 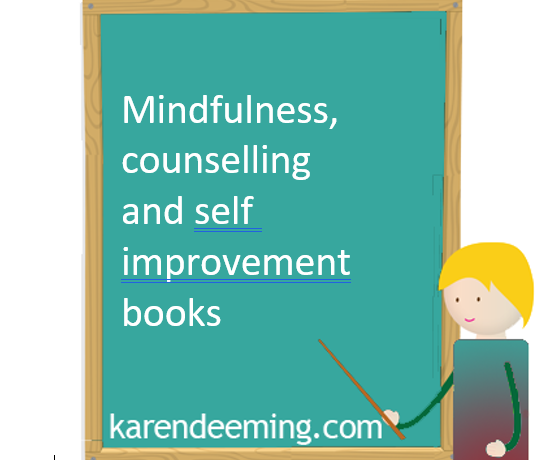 We live at a time when there are more self-help books on the market than any one person could hope to consume in a lifetime. But in today’s world, finding the time to read even one book, let alone a dozen, can still pose quite a challenge. so as one of our favourite authors states: “stop talking start doing” ……. • or a looming unreaslistic deadline at work. 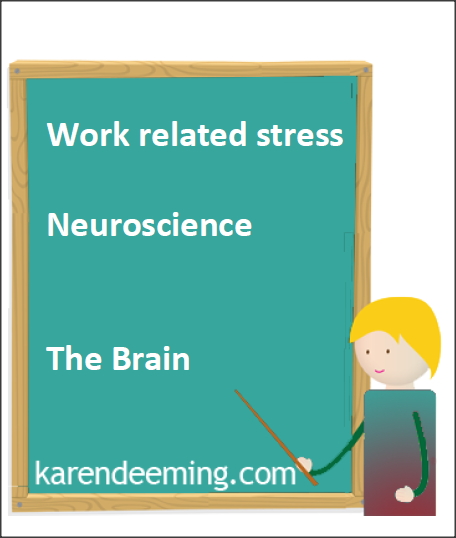 So the good news is that work-related stress, anxiety and automatic negative thoughts are not wholly your fault it’s just the way your brain is wired and you can take steps to address this. So instead of giving yourself a hard time, be kind and compassionate, reassuring yourself that you’re pretty normal and not alone in this very common dilemma. • We recall negative feedback more than we remember praise. • Unpleasant events tend to be more memorable than pleasant ones. • The brain is programmed to be vigilant and wary. • The brain reacts more strongly to negative stimuli than to positive stimuli. Studies indicate that there’s a greater flow in electrical activity in the brain when we visualise a negative image such as a dead cat than when we witness something positive like a glass of prosecco or yummy lemon cheesecake. 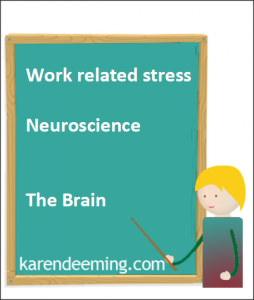 How can Neuroscience and a knowledge of the brain help with work-related stress? • or logical enough to introduce the laws and theories of gravity. That’s why anxiety, frustration, anger and other chronic stress reactions can occasionally, or for some people frequently, escalate into huge problems. Put simply, we’re not using our amygdala as effectively as it was intended. 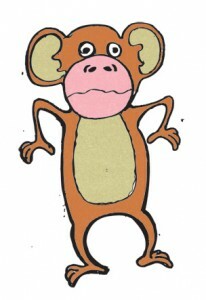 The “Chimp” automatically jumps to opinions in the absence of concrete facts and may be paranoid, periodically resulting in catastrophic and irrational behaviour. 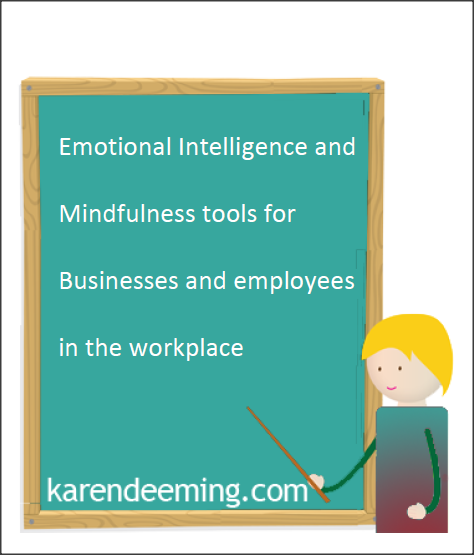 You’re probably asking yourself right now how does all this relate to work-related stress then? Though we can’t stop our thoughts, feelings or physical sensations, we can take charge of what happens next. We can consciously step back, pause, breathe and choose to observe our negative thoughts rather than responding to them immediately. 1. Acknowledge that we as Human beings developed a negativity bias, that is, we evolved to notice and respond more forcibly to the negative, since that helped our ancestors to stay alive. Thousands and thousands of years ago, it was more important for cavemen to escape negative situations than it was to approach opportunity. 2. 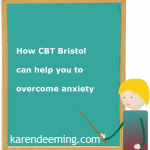 As it’s your “Chimp” it will respond sometimes when you are angry, stressed or perceive any kind of threat, physical or psychological, and it moves much more quickly than the Human part of your brain so is likely embarrass you with its responses. It might shout and rage, be rude and angry or violent. 3. Observe Chimp-like responses, these are easy to spot, they are responses which when you reflect later aren’t ones you’re proud of. They are likely the ones that if you had your time again you’d do differently, or they are the responses that you might, with the benefit of hindsight, think you need to apologise for. 4. Be aware that everyone has a Chimp and managing it is an everyday challenge, when we’re tired or stressed our Chimp becomes more difficult to control and can overwhelm us more easily. Observe other people’s responses, you can see Chimp behaviour everywhere. 5. Having become aware of your Chimp, you can work on taming it and rather than ignoring the Chimp’s instinctive and rapid reaction, just allow it to have its say. Then, consciously step back, pause, breathe and allow yourself more thinking time to work out a better, more considered Human response. 6. We can use the Computer part of our brain, our automated habits, to put in responses faster than the Chimp can react. This takes time and practice, but if we make a conscious effort to put in a different response to the impulsive Chimp one, we can develop what Peters calls an Autopilot, which is a script or response that overrides the unhelpful Chimp response before it can be enacted.